I have a 1998 Monte Carlo I started using Pennzoil 5W-30 for the first 100,000 miles then I switched to 10W-40. I have over 378,420 miles all with conventional oil now I hear that you're going to stop selling 10W-40 conventional oil I hope this is not true keep it coming I need this oil BEST OIL EVER!!! Kind of funny to read all these Pennzoil reviews this oil @ all pennzoil is a top rated now! 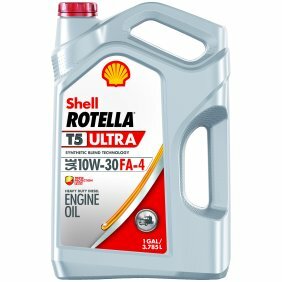 @ maybe for the last 10 or 12 years but used to be terrible like back in the 70s @ 80s sorry penzoil this oil replace castrol GTX for reasons i wont mention use with confedence its one of the best i change every 3k or 3to4 months there synthetic is great to Thankyou pennzoil for GREAT products!!! I've always used Pennzoil in all my vehicles since the late 60's and also in the vehicles I serviced in my foreign car repair service. Currently I restore old Dodge stepside pickups and always use them in my personal trucks. These trucks mileage range 200K to 600k miles on the original engines. My only concern is the unavailability of straight 40 weight and straight 30 here in South Texas. That 5w, 10w etc may be good for those up north but NOT here in Texas. the heat breaks down multivis oil real quickly.